Sazan and Jimmy come from Jönköping. They met at Sazans graduation in Gothenburg. They became engaged on April 20 last year. 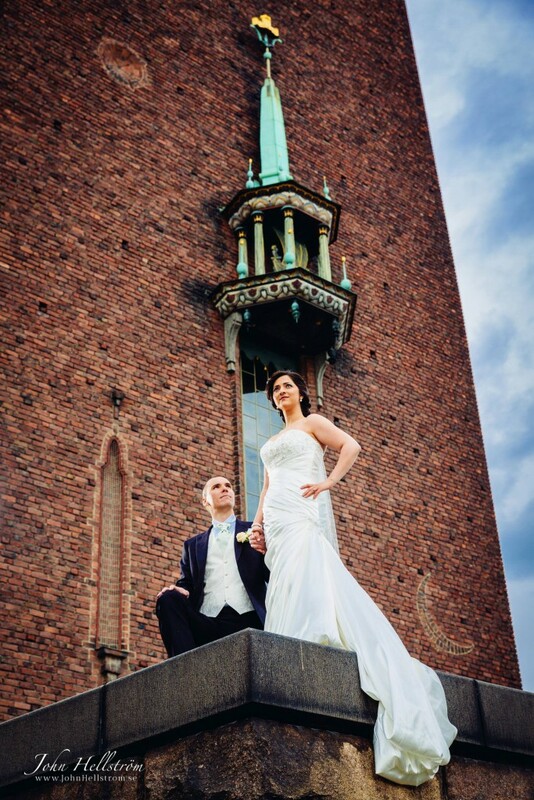 They married in the Stockholm City Hall on the 3rd of May 2014. Terns and toast madame were the bride's sisters, Shilan and Sayan Abdulrahman. A real hero Image! Sazan looks like a queen, waiting for her armada of ships. Inside the City Hall with closest family. Then they went helicopter from Bromma Airport to the Grand Hotel Saltsjöbaden, where their wedding reception was accompanied by about 100 people. Awesome! The dress was bought 2.5 months before the wedding at Macy's Bridal Saloon in NY. The flowers from Interflora in Jönköping and shipped to Stockholm in coolers.